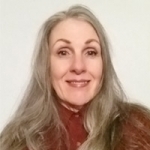 Sandy LaVonne Jamieson became passionate about nutrition when her first baby suffered a series of painful ear infections which were cured by dietary supplements after allopathic medicines failed. She was an avid breastfeeding mom, La Leche League Leader, and currently works for the United States Women, Infant, Children Nutrition office helping moms and babies to meet their breastfeeding goals. She is the mother of six breast fed children and seven and eight-ninths grandchildren. Sandy is working to help babies regain their birthright. An often overlooked component of breastfeeding education is nutrition. Professionals and moms seem to ‘know’ that breastfeeding is ‘best,’ but very few are aware of the critical differences between breast milk and formula. Consequently, they succumb to slick promotions that take advantage of their ignorance and convince them that artificial formula is so close to breast milk that it‘s ok to supplement or wean from breastfeeding completely. Find out what makes breast milk the original super food and learn how to teach parents nutrition basics that will help them make correct infant feeding decisions. A printable handout for parents is included.